Daily vacuuming is the first line of defence when it comes to overall carpet maintenance. This is especially true for commercial establishments with high footfalls and traffic areas. However, the frequency of vacuuming is determined by a number of factors – the size and location of the premises and the foot traffic. Small offices with a limited number of employees and visitors can do with weekly vacuuming while large offices with hundreds of employees and visitors will require nightly vacuuming. Every office has different vacuuming needs, and hence any carpet maintenance plan should also include strategies for preventing soil from entering the premises. The frequency of vacuuming should be finalised after detailed discussions between the business owner and a professional commercial carpet cleaning agency. As a general practice and rule of thumb, the areas with the highest foot traffic should be vacuumed more frequently. If the maintenance plan has a daily vacuum schedule, the focus should be on the centre of the corridors where people walk up and down. A more detailed vacuuming programme can be carried out once a month. Since preventive maintenance is a critical factor in carpet cleaning, vacuuming should also be done in places where dirt and debris enter the building daily. The areas between a well-carpeted office and a warehouse and factory should also be cleaned daily as part of preventive maintenance. Elevators, common areas, lobbies and entrances deserve special attention because the dirt starts to get spread around in the office from there. To determine vacuuming frequencies and the areas that should be worked on daily, inspect horizontal surfaces in the office. Look at how quickly the top of file cabinets and partitions gather dust. This will be an indicator of how frequently the carpets should be vacuumed. It is seen that the first victim of cost cuts is carpet cleaning and that is there is a fall in the frequency of cleaning. This was noticeable particularly during the recession when companies needed to cut corners and yet maintain operational efficiencies in core activities. However, this can be a solution in the short term only. Neglecting carpet vacuuming takes a heavy toll on the life of a carpet and its looks. 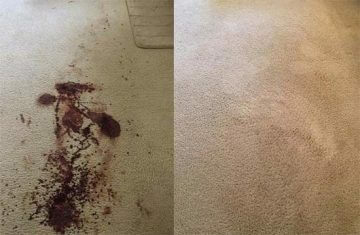 When vacuuming frequencies decrease, there should be a corresponding rise in spot cleaning. And as in daily cleaning, commercial carpet cleaning agencies can alternate sections and floors to maximise vacuuming time on a fixed weekly schedule. For example, in the first week of the month, full vacuuming may be carried out on the first floor, in the second week of the month, the same can be done for the second floor while spot cleaning of selected areas with high footfalls can be done on the first floor. If this cycle is rotated and carried out, it should not be too difficult a task to maintain carpets well. However, carpet cleaning and maintenance is not so cut and dried, and many variables have to be taken into account. What works at one office may be inadequate for another. Budget cuts or not, the vacuuming schedule for carpet cleaning should include a comprehensive shake-up at least once a year, if not for anything else, at least to safeguard the health of employees. The programme should include furnishings, corners, edges, under desks and hard-to-reach areas in an indoor office environment. Areas behind filing cabinets and the small gaps between the wall and the credenza area places that get loaded with dust and should be cleaned once annually. Sporadic vacuuming is typically done along with a regular vacuuming programme. 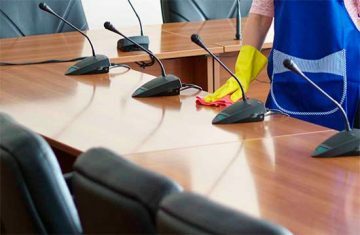 These include cleaning of little-used conference rooms and empty cubicles. Regardless of the frequency of the contracted carpet cleaning job, sporadic carpet cleaning has to be carried out in exceptional circumstances even if it falls outside the regular scope of work. For example, if carpets are cleaned once a week and an employee drops popcorn all over a carpet the second day, it should get cleaned up as otherwise the popcorn will be tracked around the whole office. 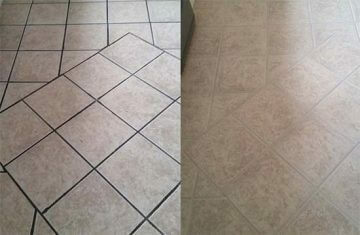 Melbourne Carpet and Tile Cleaning services are designed to keep your floored areas looking fresh, safe and clean. For more information about the high-quality services we provide, please contact the team at MCTC on 1300 955 100 today.